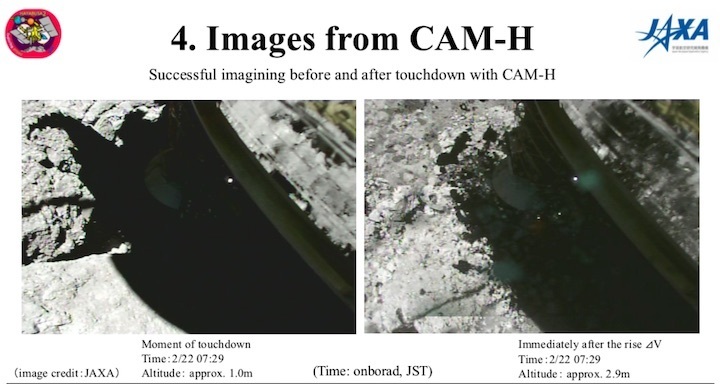 A movie captured by Japan's Hayabusa-2 spacecraft shows the moment it touched down on an asteroid. 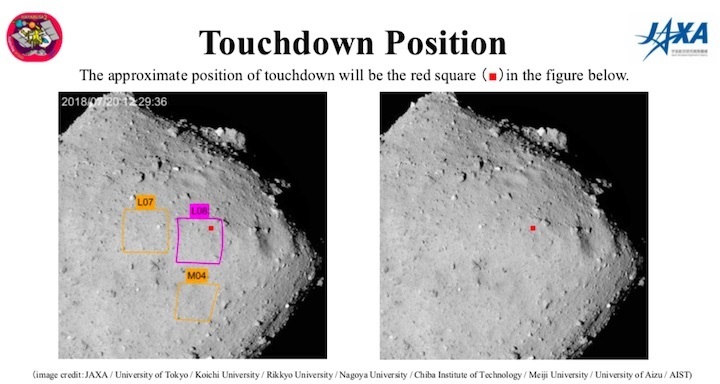 The probe was attempting to grab a sample of rock from the 1km-wide body known as Ryugu, on 21 February (GMT). 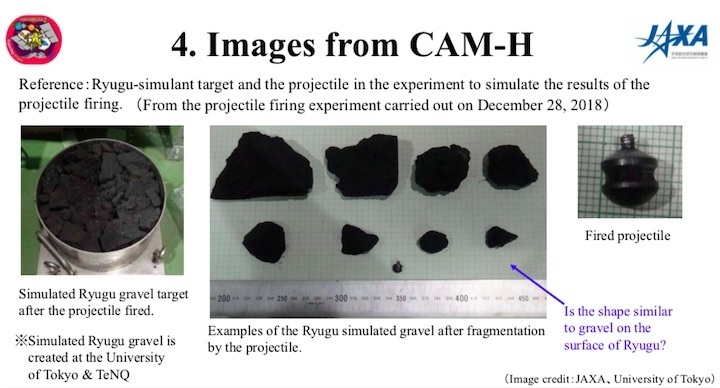 The footage shows dusty fragments lifting up as the spacecraft fires a "bullet" at 300m/s into the surface. 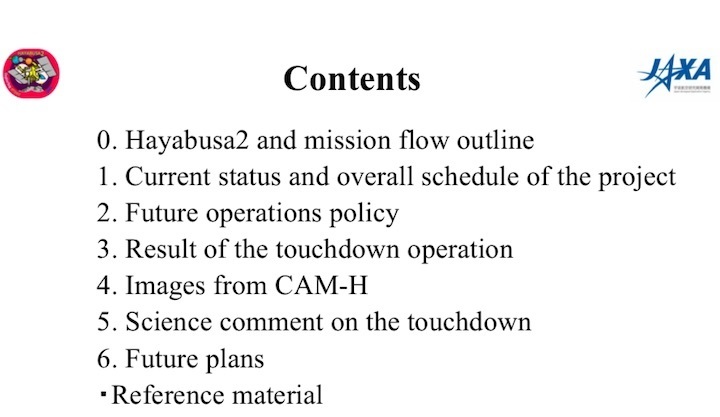 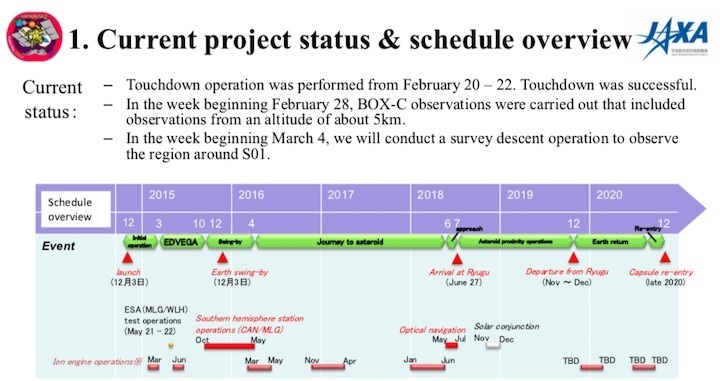 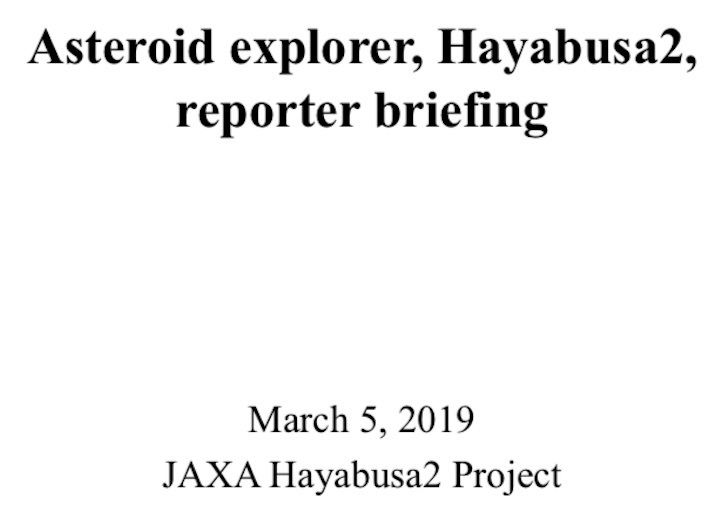 Hayabusa-2 has been exploring Ryugu since its arrival in June 2018, following a three-and-a-half-year journey from Earth. 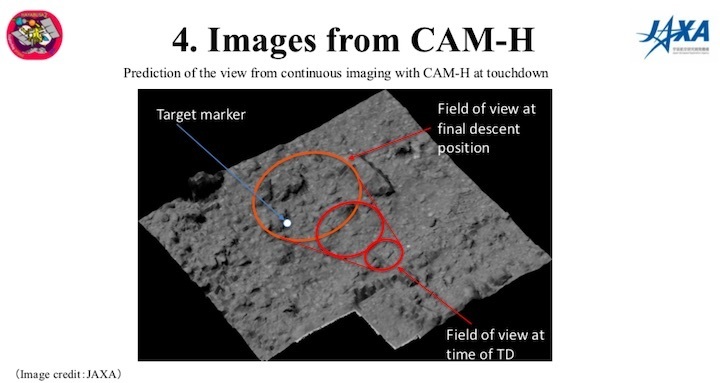 During sample collection, the spacecraft approached the asteroid with an instrument called the sampler horn, which can be seen on the right in the screen. 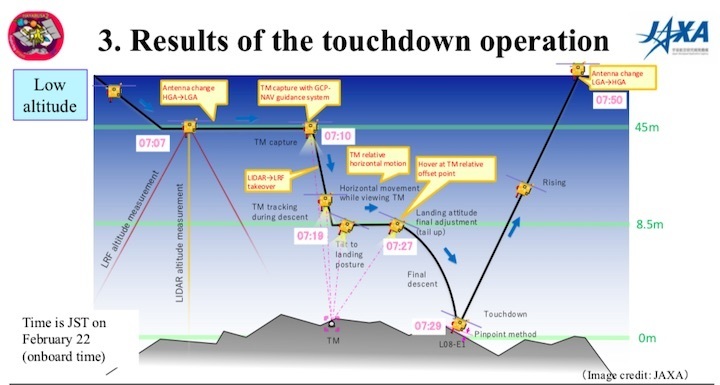 Then, on touchdown, a 5g projectile made of the metal tantalum is fired into the rocky surface. 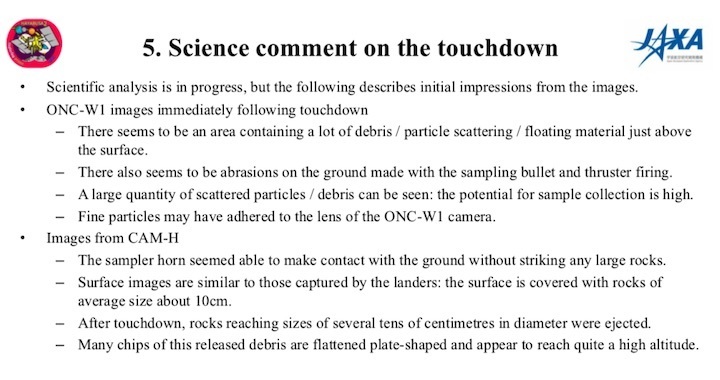 The idea was for particles kicked up by the impact to be taken up the horn. 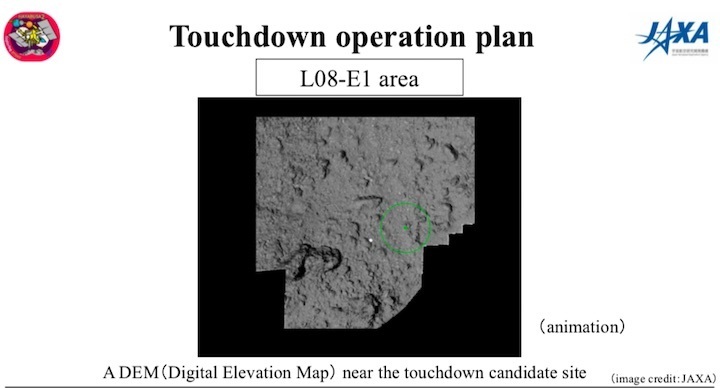 The full outline of the spacecraft can be seen in shadow on Ryugu's surface as the spacecraft ascends, following completion of the sample-grab operation. 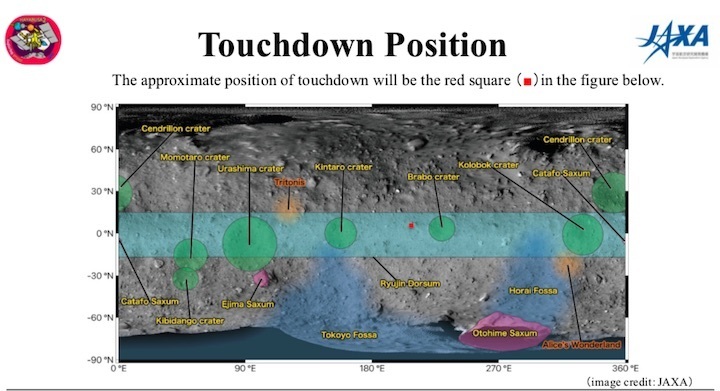 The near-Earth asteroid Ryugu is a primitive relic from the early days of the Solar System. 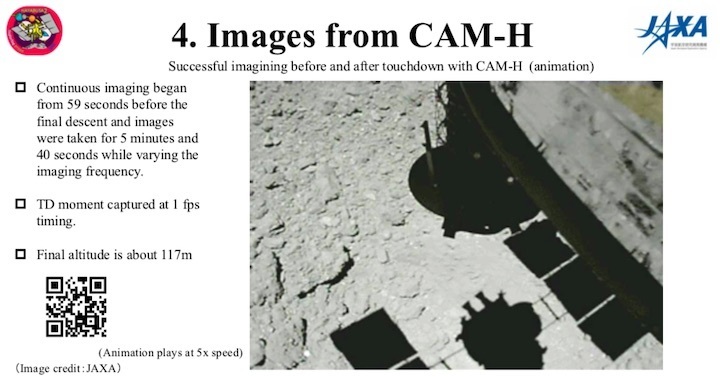 Studying objects such as this one could shed light on the origin and evolution of our own planet. 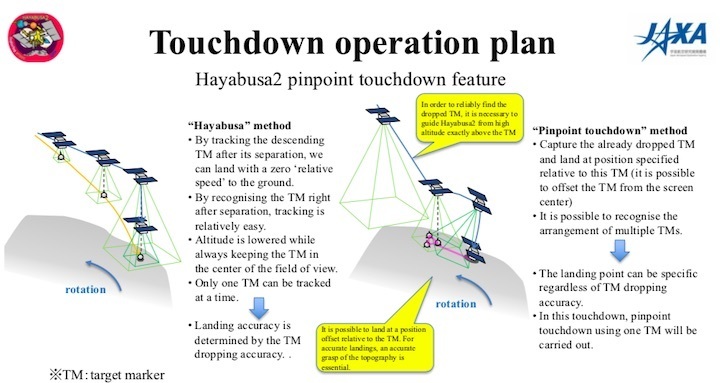 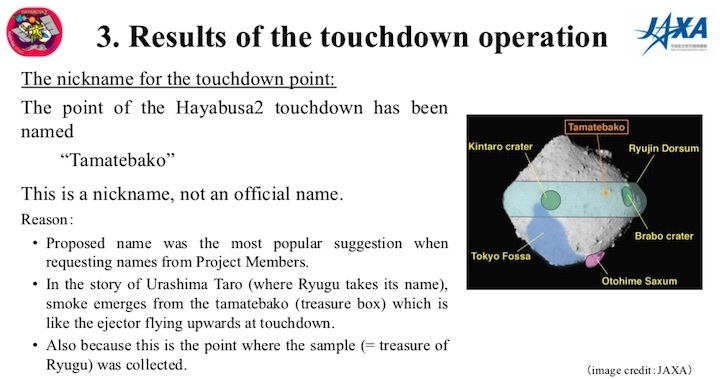 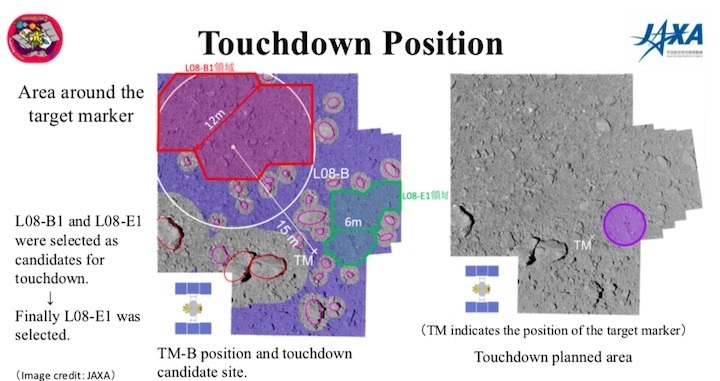 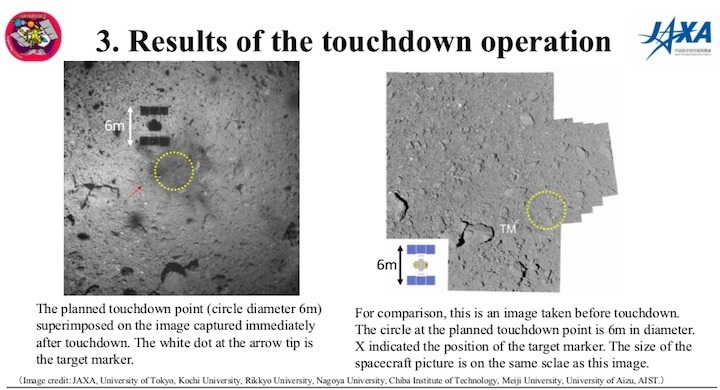 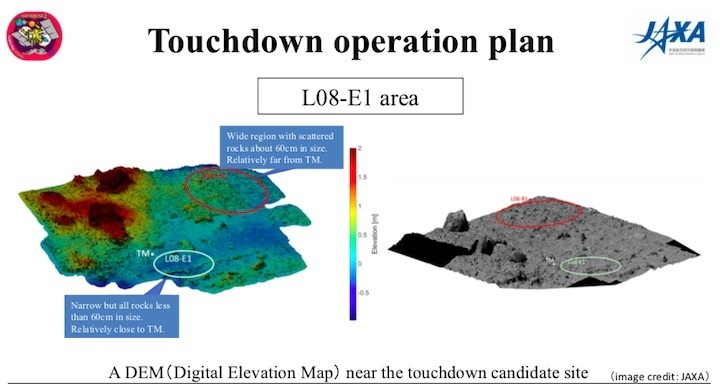 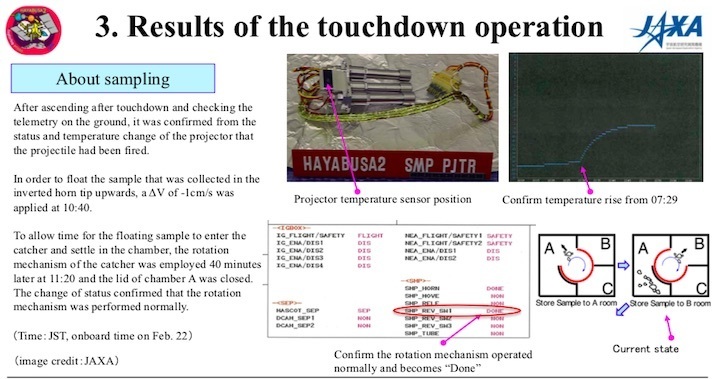 Hayabusa-2 had dropped a small, reflective, beanbag-like "target marker" on to Ryugu. 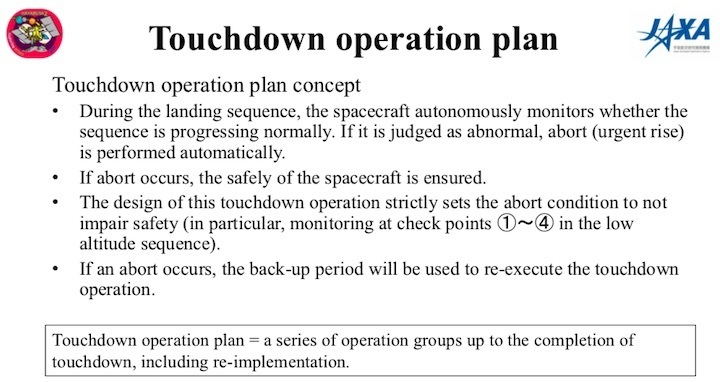 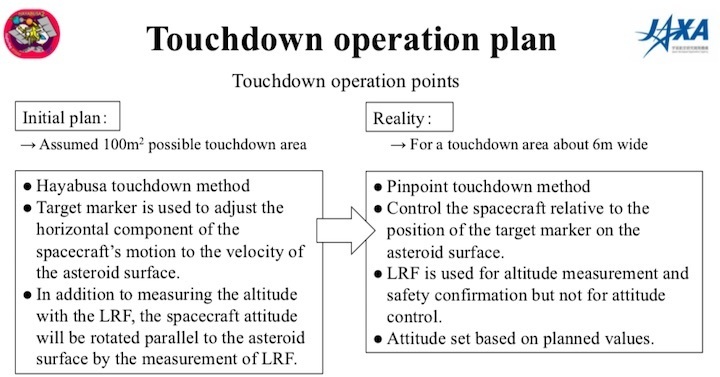 This was used as a guide as the spacecraft descended to the rough surface of the asteroid. 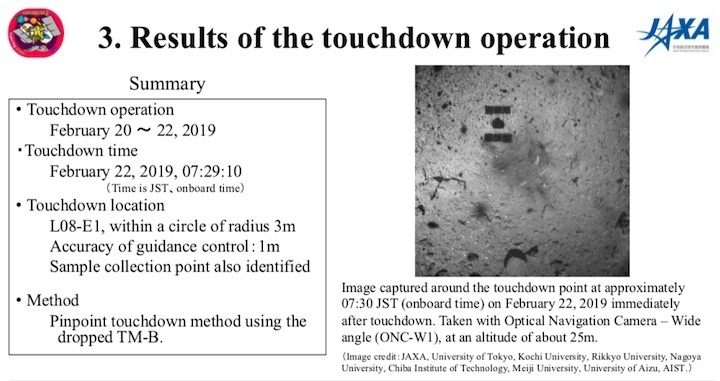 Controllers had been aiming for the centre of a circle, some 6m in diameter, located about 4-5m away from the target marker. 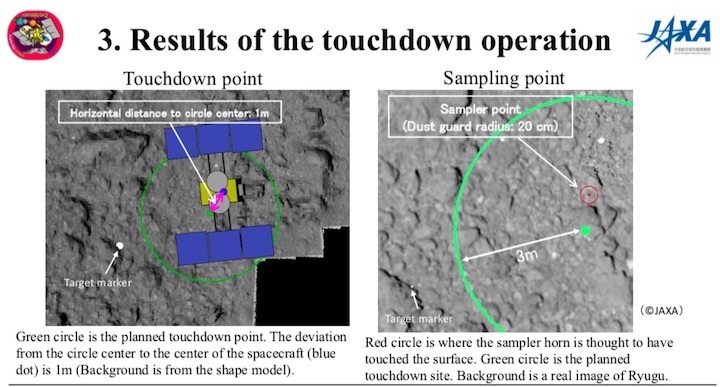 Shortly after landing, the probe fired a bullet into the space rock to capture some rocky debris. 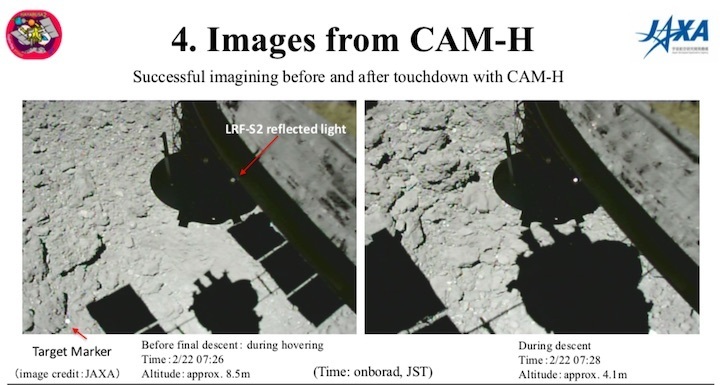 Japan’s Hayabusa 2 spacecraft landed on an asteroid in February, and a dramatic new video shows the probe as it touches down tentatively on the distant space rock. 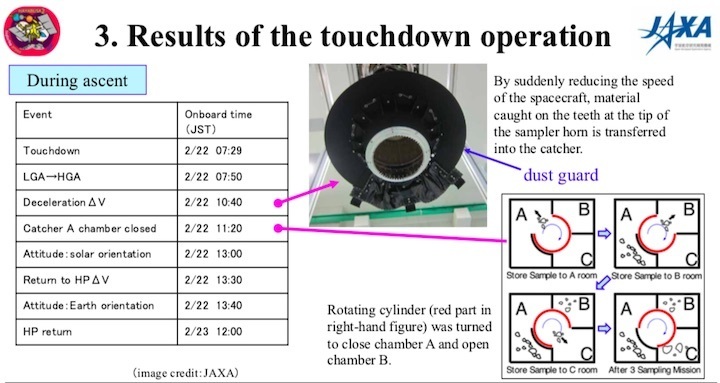 “One small hand of mankind has reached for a new little ‘star,’” the Japan Aerospace Exploration Agency (JAXA) said Tuesday in a tweetabout the video. 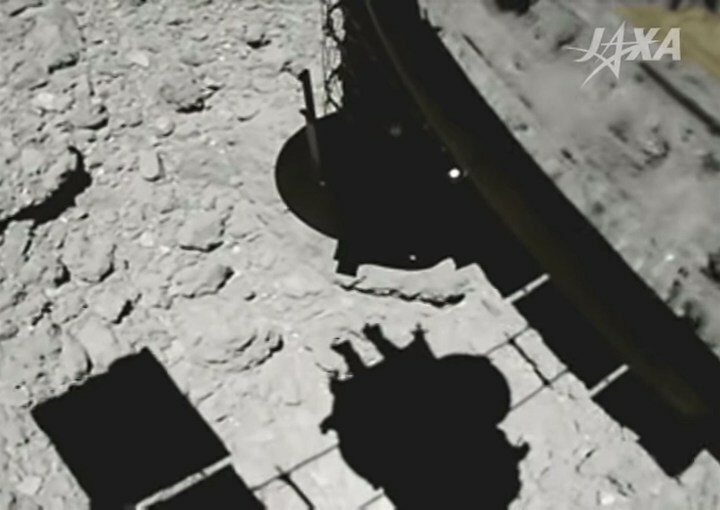 The point-of-view footage, taken by a small onboard camera and released on Monday, shows Hayabuasa 2’s distinctive shadow moving across the rocky face of the asteroid Ryugu as the probe makes its slow descent. 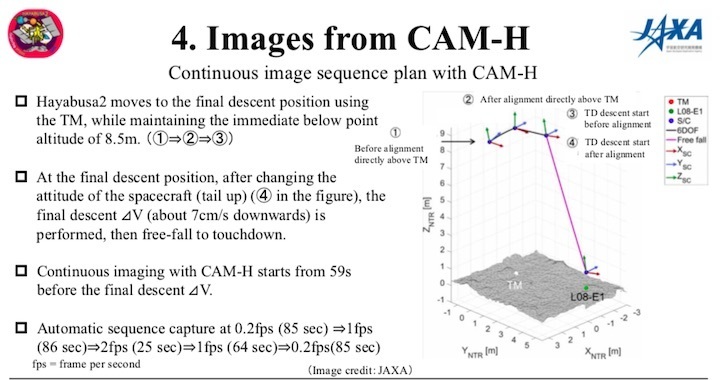 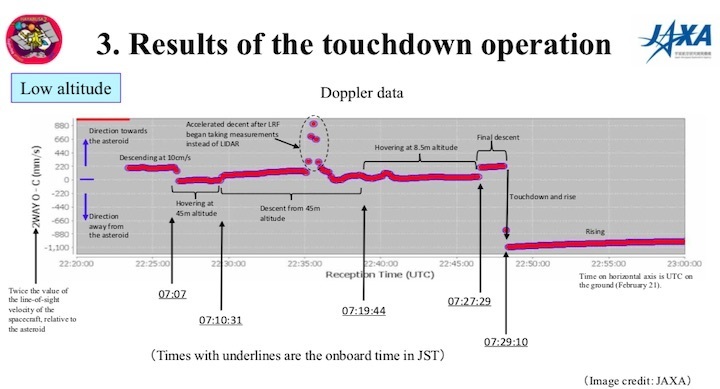 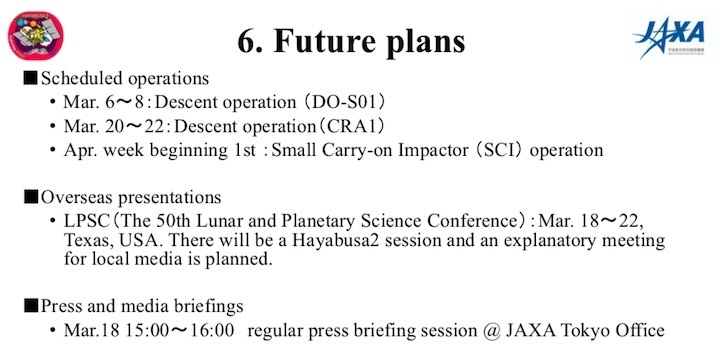 To make the action easier to watch, JAXA sped up the the video by a factor of five. 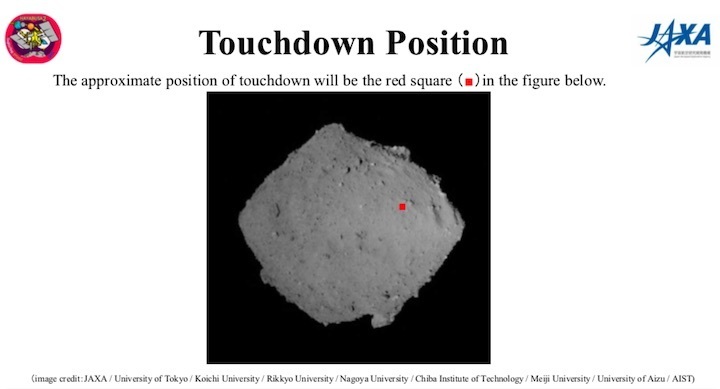 Hayabusa 2 reached the 0.6-mile-wide asteroid on Feb. 21, after a three-and-a-half-year journey across the solar system. 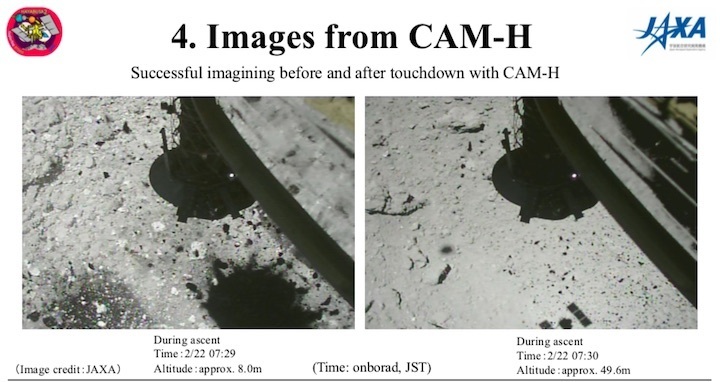 Shortly after landing, the probe shot a special bullet into the asteroid to kick up some rocky fragments. 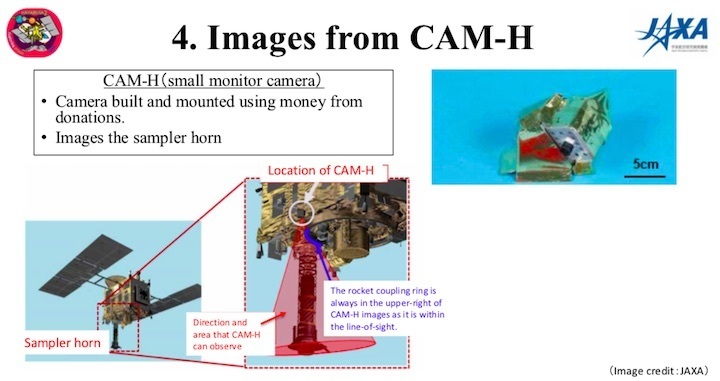 Using its “sampler horn" instrument — which is visible in the video on the right of the frame — the refrigerator-size probe then collected some rocky material that it will return to Earth for analysis in 2020. 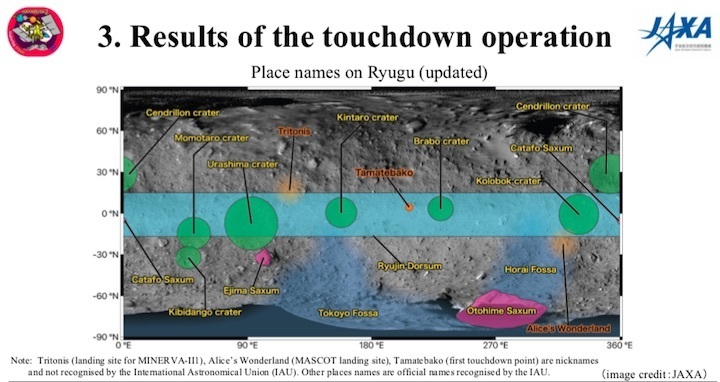 Ryugu is thought to be a remnant from the early days of the solar system. 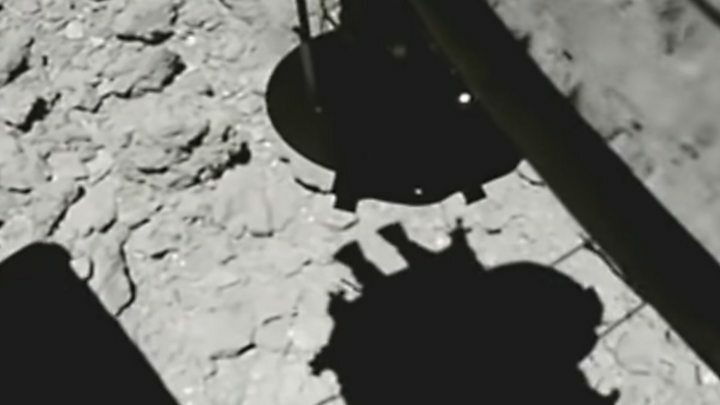 Scientists are eager to study its composition because they think it could provide a better understanding of how our system evolved — and perhaps how life arose on Earth. 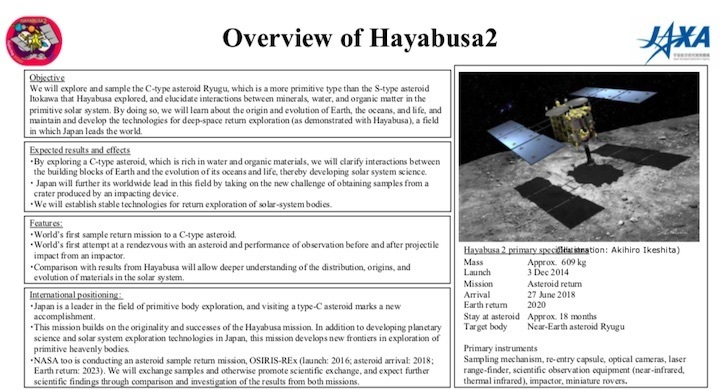 Hayabusa 2, which launched in December 2014, will remain at Ryugu at least until November. 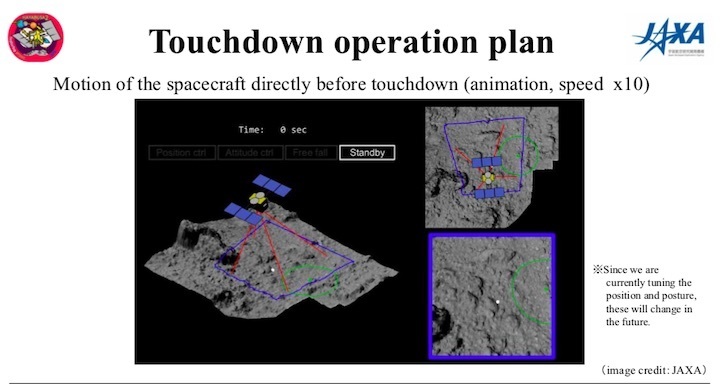 The probe is now shadowing the asteroid from a distance of about 12 miles, but plans call for it to land again in April. 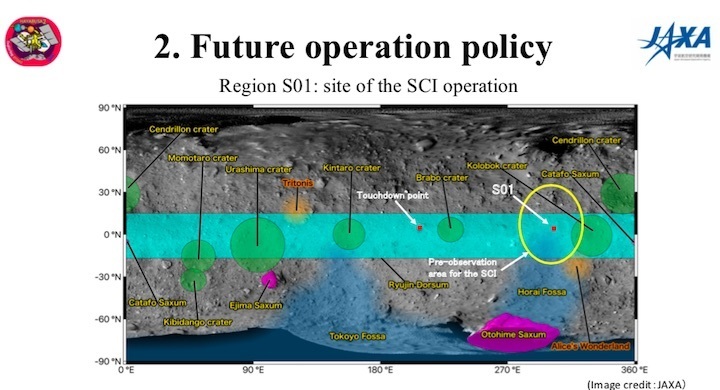 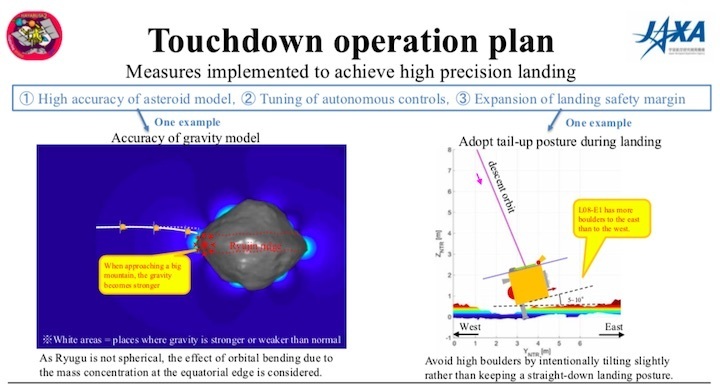 At that point the probe will fire a larger projectile into Ryugu to create an impact crater and collect more debris samples for return to Earth. 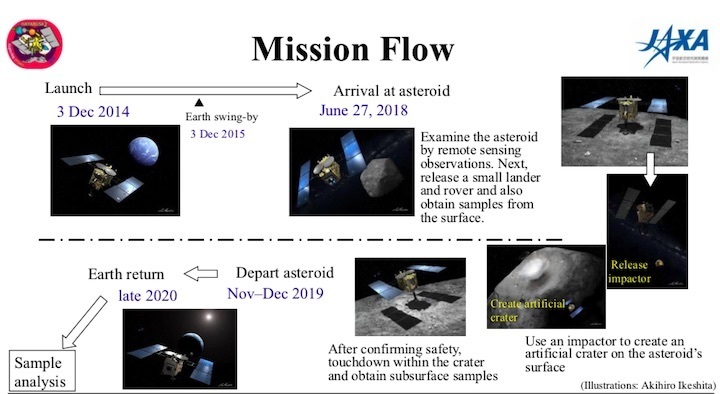 Hayabusa 2 isn’t the only mission now underway to explore an asteroid: NASA’s OSIRIS-REx probe has been circling a 1,600-foot-wide asteroid known as Bennu since late December 2018. 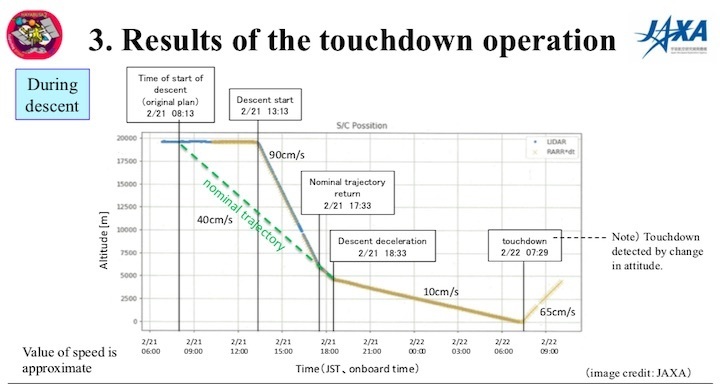 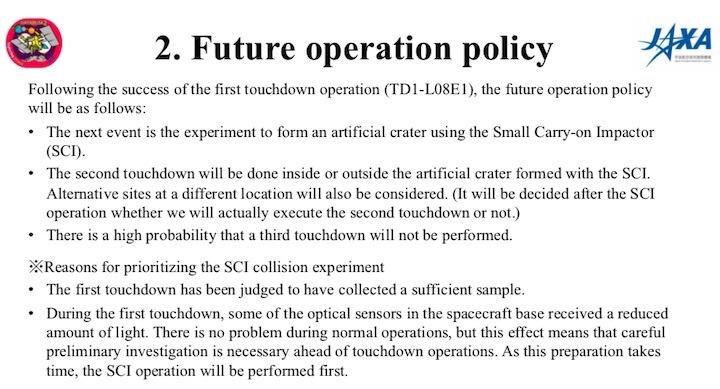 That mission is expected to collect samples and return them to Earth in 2023.